Many of you might recall that when a hostel or transport fee collection was scheduled for a batch, there was no way to assign the same fee collection to a newly admitted student. You would have to schedule a fee collection for the batch of students all over again. We soon realised this can be pretty inconvenient and sometimes frustrating since students leave and join schools and colleges all through the year. 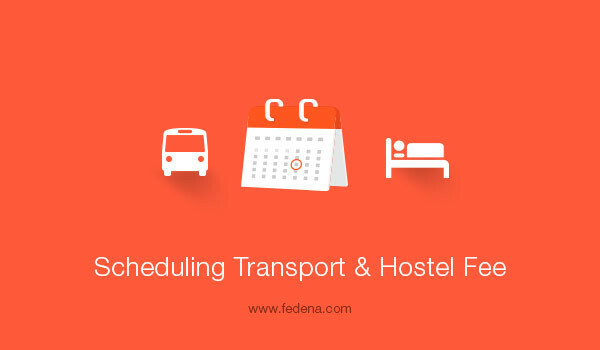 So to make things easier for you, with Fedena 3.4, we are providing you the ability to manage hostel and transport fee collections at an individual student level. You can now assign existing fee collections to a newly admitted student or schedule new fee collections for a particular student. Administrators and privileged employees (Hostel Admin or Transport Admin privilege must be provided) can schedule hostel and transport fee collections. Hostel and transport fee collections can be scheduled only for students who have been provided hostel and transport facilities. So make sure to allot hostel and transport facilities to all students who require it, and then schedule fee collections. As mentioned earlier, you can assign an existing hostel fee collection or schedule a new fee collection for a student. At the top of your dashboard, click the module access icon > Administration > Hostel > Fee Collection > User-wise Fee Collections to open the User-wise Fee Collections page. Select a batch and a fee collection. In the Search Student field, enter the name or admission number of the student to search and assign. Select the Create New Fee Collection option. Enter the name of the hostel fee collection. In the Start date and End date fields, select the starting and end date within which the student must pay the hostel fee. In the Due date field, select the last date within which the student must pay the hostel fee. Students who do not pay the fee on or before the due date will be listed as a fee defaulter. 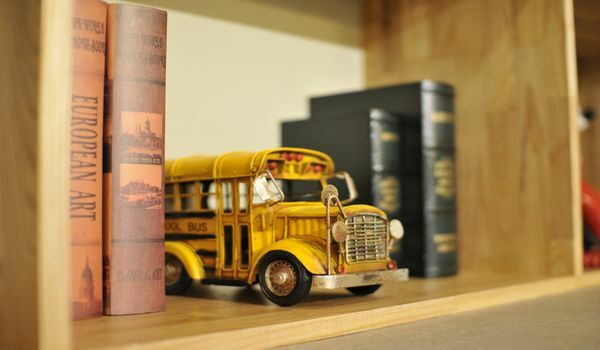 Similar to hostel, you can assign an existing transport fee collection or schedule a new fee collection for a student. At the top of your dashboard, click the module access icon > Administration > Transport > Transport Fee > Fee Collections > User-wise Fee Collections to open the User wise Fee Collections page. Select the Choose from existing option. At the top of your dashboard, click the module access icon > Administration > Transport > Transport Fee > Fee Collections > User-wise Fee Collections to open the User-wise Fee Collections page. Enter the name of the transport fee collection. In the Start date and End date fields, select the start and end date within which the student must pay the transport fee. In the Due date field, select the final date within which the student must pay the transport fee. Students who do not pay the fee on or before the due date will be listed as a fee defaulter. In the Search Student/Employee field, enter the name or admission number of the student to search and assign. Something to note is that transport fees not only applies to students, but to employees as well. 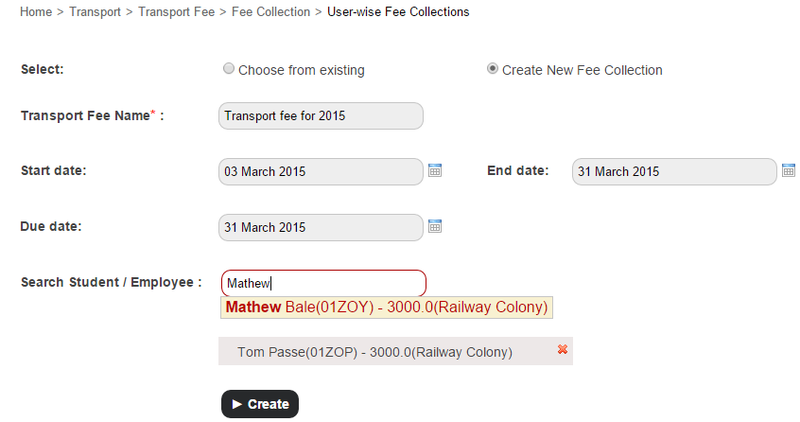 So you can now also schedule transport fee collections for individual employees. Next PostNext Is Online Learning platform Catchy Enough to Replace the Classroom?